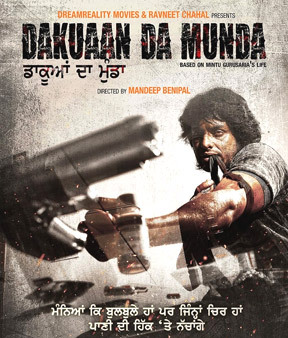 A biographical film on the life of Mintu Gurusaria, a former Kabaddi player who later got caught in the web of crime and drugs but successfully came out becoming a journalist, DAKUAAN DA MUNDA thankfully doesn’t get involved in any self-praise or preaching resulting in a fairly engrossing film and an inspiring watch. Directed by Mandeep Benipal, it frankly makes an impact with its simplicity and complete focus on the subject despite being a project made within a limited budget and settings. Though the film's first half hasn’t got anything fresh or novel in terms of story progression, yet the pace keeps you hooked and so do the performances that range between above average, good and impressive featuring Dev Kharoud (as the lead), Jagjeet Sandhu, Sukhdeep Sukh, Pooja Verma, Lucky Dhaliwal, Hardeep Gill, Anita Meet and Kuljinder Sidhu. Based on the autobiography of Mintu Gurusaria with the same title released a few years back, DAKUAAN DA MUNDA actually finds its form in the second half, once the story reaches the jail involving the son as well as the father sentenced together by the court. And from here onwards it successfully conveys the message with many inspiring sequences handled in a decent manner. In fact, the film works as it convincingly narrates the most important part of the story, post Mintu breaks his leg and goes through his transformation phase with the loving support of his mother and a close friend. Though, I personally wished this specific part of the script was more elaborate forming the complete second half of the film, it still manages to make an impact reaching out to its target audience. However as a film DAKUAAN DA MUNDA suffers due to the same drawback recently seen in Raj Kumar Hirani’s SANJU wherein crime and negativity was given much more mileage and quite less emphasis was there on how the protagonist actually came out of the ugly world of drugs. The musical department again misses anything extraordinary, yet a few songs have been popular due to the obvious reasons (appealing to the younger brigade). But what I seriously missed in the film was a heart wrenching sad song that unfortunately is fading away from our cinema at this moment (thankfully still alive in Punjabi individual album songs). Coming back to the film, it surely could have been much better with more conflict in the final hour fighting against the drug peddlers and the politician forming a gripping third act of the script. And there were immensely powerful genes of “Mera Baap Chor Hai” from the Hindi classic DEEWAR in the phrase “Dakuaan Da Munda” that could have been exploited better making a much stronger connect with the younger audience. But having said that, the film still works since it doesn’t fool around, getting lost in any sub-plots, songs or unrequired forced drama. Moreover it rightly represents the present scenario of Punjab raising the crucial issue of drugs ruining the young lives and thus deserves to be seen saying “Zindagi Zindabad” just like Mintu Gurusaria said it at the right time discovering his own self and his hidden talent of expressing in words. 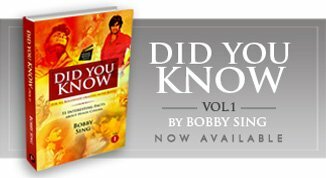 Plus the true story also reconfirms a known fact of life, that the habit of reading and books certainly contribute a lot in making us a better human. So do give it a chance and take your important lessons from this courageous DAKUAAN DA MUNDA bravely fighting with the odds finding his own path.